Now Available for the 2013+ Chrysler 300, Dodge Challenger and Charger. Offers crisper throttle response and added horsepower up to 12+ RWHP! 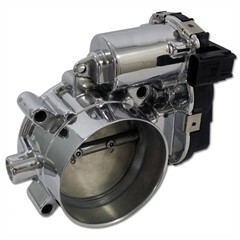 The stock 80mm throttle body has shown on many applications to be a restriction on these engines but with Modern Muscles new venturi-like design, airflow through the stock throttle body has been increased without sacrificing air speed (like straight bore 85mm and 90mm throttle bodies) allowing even more power while being a direct bolt-on part.Modern Muscle High Velocity Throttle Bodies are brand new CNC ported OEM throttle bodies. 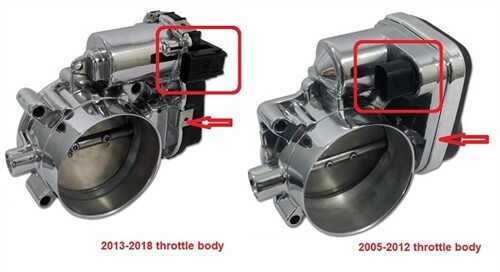 Some 2013 Models are still using the 2012 Throttle Body please check current Throttle body installed before ordering. 53034251AB Now Available for the 2013 Chrysler 300, Dodge Challenger and Charger Offers crisper throttle response and added horsepower up to 12+ RWHP!